The Buy/Sell Move - Scout Realty Co. Learn more about the University Park neighborhood. A few months after I sold a darling home on N. Newell, I received a phone call from the owners of a house just across the street. Having seen the work I did for their neighbor, they asked me to help them with a purchase and a sale. These clients were sweet – a mom, a dad, a little girl, a little boy, and a cat – and they were ready to move into a bigger home in a neighborhood with top schools. This buy/sell process was going to be a little complicated thanks to the current sellers market. Perhaps you’ve heard that in Portland, the demand is currently greater than the number of homes for sale. These buyers were not going to be able make an offer until their home was sold, and getting the timing right can be a little tricky. Possible, but tricky. The Sell: The second I visited the N Newell home on it’s landscaped corner lot, I jumped at the opportunity to be their listing agent. As soon I spotted a garden gnome in their yard, I knew these clients and I were peas in the same pod. Selling this pristine 1909 farmhouse wasn’t going to be a problem if we could just find the right buyer. Farmhouses are adorable, but they are older and have their own little quirks – like limited bathrooms and all bedrooms on the upper floor. Regardless, this lovely home sold in less than a month and went for a higher price than any other farmhouse in neighborhood. The Buy: My roots may be planted in the Eastside now, but I spent my younger years squarely on the Westside. My knowledge of the area makes it very easy to show and advise about the special nooks and micro-neighborhoods on the other side of the Willamette. My clients weren’t initially interested in Beaverton, but after one day looking in the area, they realized that they could actually purchase their dream home, complete with top-ten rated schools nearby. With their trust and an open mind, we found an amazing Hyland Hills home that met all their needs and then some. 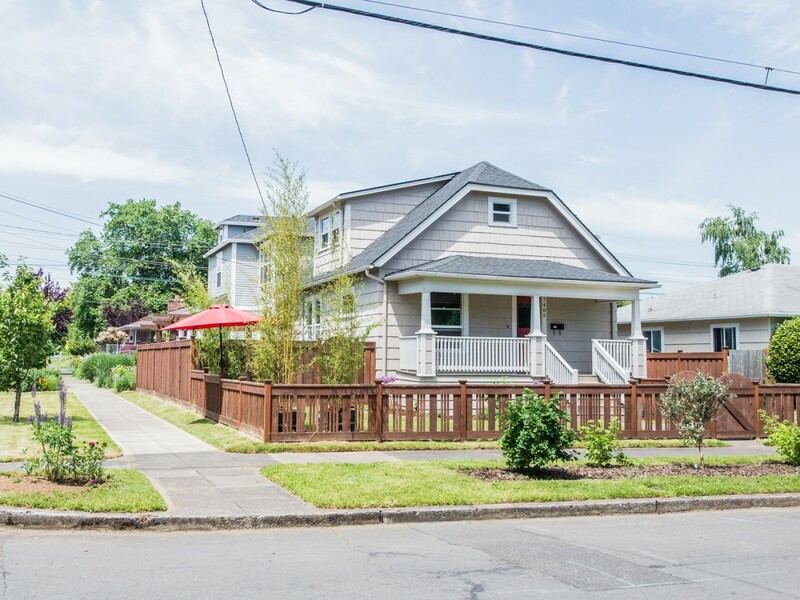 All within 10 days of their North Portland home going sale pending! When it comes to complex transactions like these, experience makes a big difference. Tenacity and creativity are a must as well. If you’re looking to make a similar move, I’d love to help out.